The Word a Church Business Administrator Shouldn’t Be Known For. Be Known for Something : Discover Your Church Communication Thread / Communications / The Word a Church Business Administrator Shouldn’t Be Known For. I’m sure that in the early years of raising a child, you found yourself saying “no” a lot. As they grew, you probably realized you said the word less, but used it to avert more serious consequences. While I was raising my two sons, I also ran a communication’s agency. I had people working with me; as well as a growing client base. 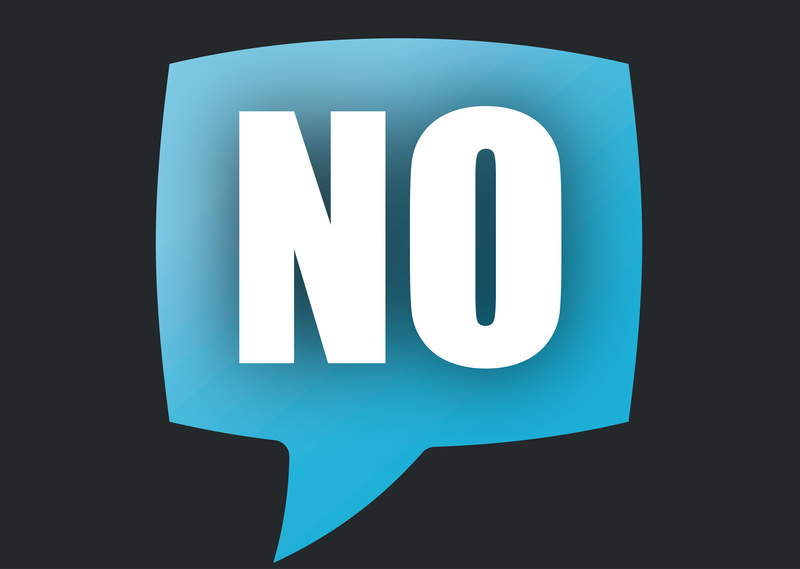 In the Art Director role, I found myself constantly saying “no”. And as Client Service I used “the word” with those who wanted to push budgets outside of agreements (albeit kindly, of course). Then I’d go home and say “no” to the kids. One day my son looked sheepishly at me and said, “you always say ‘no’ to me. I wish you’d just encourage me”. My heart sank. Understanding the “5 Love Languages” book; I realized that my attempts at “directing” came across negatively. And I certainly was not showing love (especially to someone who likes words of affirmation)! No one likes negative people. I don’t want to be known for that. As a Church Business Administrator, you have a very important role. You ensure no one wastes money, that they stay within budgets, and that everyone complies to the rules. Can I say it? You’re often seen as a “Pastor No”. I’ve tried to switch to being perceived as an encourager, a motivator, an engager. I don’t stop doing my job (ensuring correctness), I just try to empower the people around me to work within the rules. Set Ground Rules. Keep rules simple so you don’t have to explain or remind constantly. Make sure everyone is clear that either the rule is God-ordained, Government -sanctioned, or a community-help. Establish why the rules exist; rather than why you’ll make sure they’re kept. Be positive; allow discussion; and if there are rules that don’t make sense; consider changing them. Motivate People Within the Rules. If you aren’t a motivator; you’re a discourager. Once the rules are in place, consider how you can encourage people to work within that framework. Say “That’s an interesting approach; how can we make sure you can do that within the budgets?” rather than, “You won’t be able to do that with the funds we’re currently getting”. Praise. Praise. Praise. In order to break a perception, you must start doing the opposite more than the thing you’re known for. Seek out and reward the people doing the right thing. Do it publicly and privately. Often the people who aren’t doing things correctly take more of your time. Switch that. Spend time with the people doing things right. Ultimately, ask someone to hold you accountable to this. You’ll be better received, you’ll accomplish more, and you’ll let that ulcer heal that’s eating your belly. The world needs more encouragers; let it start with you.